If your lucky enough to have a lovely oval face shape then you really don’t have to have any reservations about a short hairstyle looking good – everything looks good on an oval face. However, you still have to consider the implications of having short hair like more frequent salon visits, cowlicks, growing it out, etc. but if you’ve considered that you may want the shorter hairstyle then here are a few short hairstyles for your oval face shape. 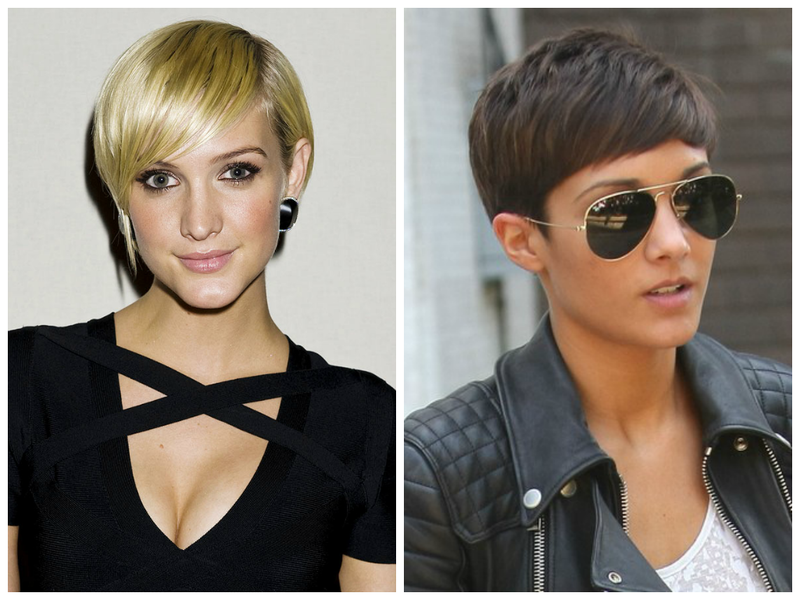 If you’ve got an edgy side then go on and rock the edgy pixie cut. 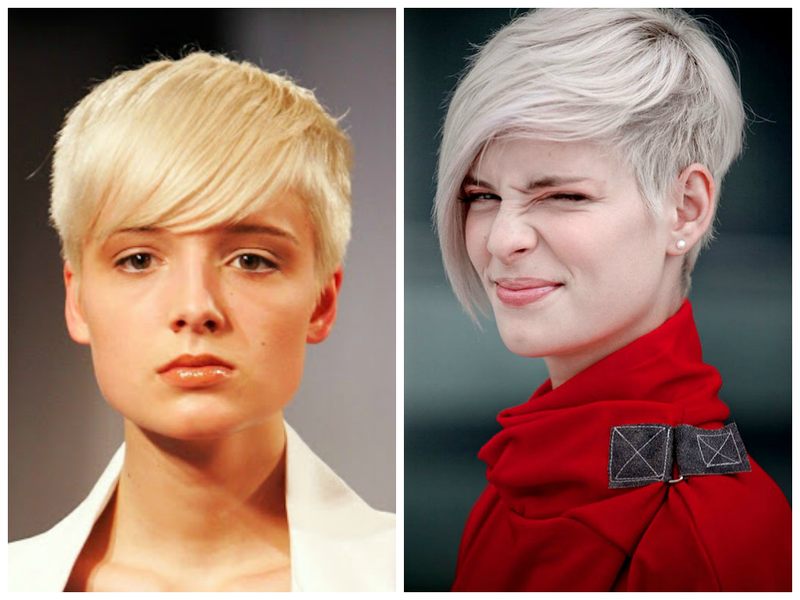 Opt for a shorter edgy pixie or one that is slightly grown out, both will look great with a oval face shape, but you should stay away from spikes because it will elongate your face. Edgy pixie hair cut for an oval face shape. Ask your stylist for some soft side swept bangs to give you that romantic look. If you have a slightly bigger forehead than these are a great way to shorten is and really emphasize your eyes and oval face shape. This is perfect for those ladies with fine hair. 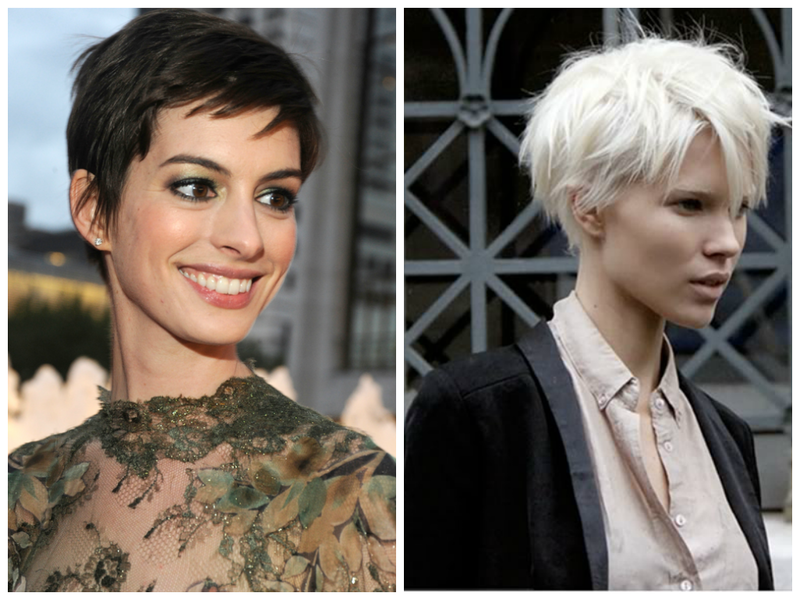 The layers will give your hair texture and add volume but still frame your face so that it doesn’t lengthen your shape. Layers that emphasize your cheekbones are perfect for the oval face. A layered bang hairstyle for an oval face. If you have medium texture then you want to show off your great hair but you should still avoid covering up your face shape. Long side-swept bangs will frame your oval face and they will work perfectly with the short pixie on the side and in the back. Bangs for a short hairstyle on an oval face.